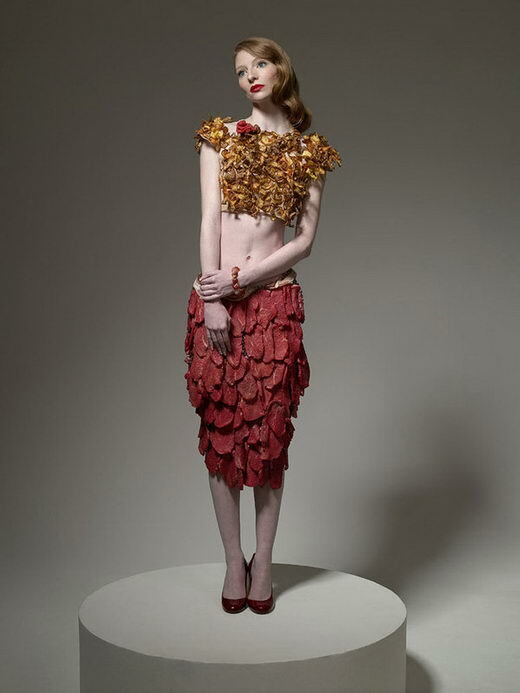 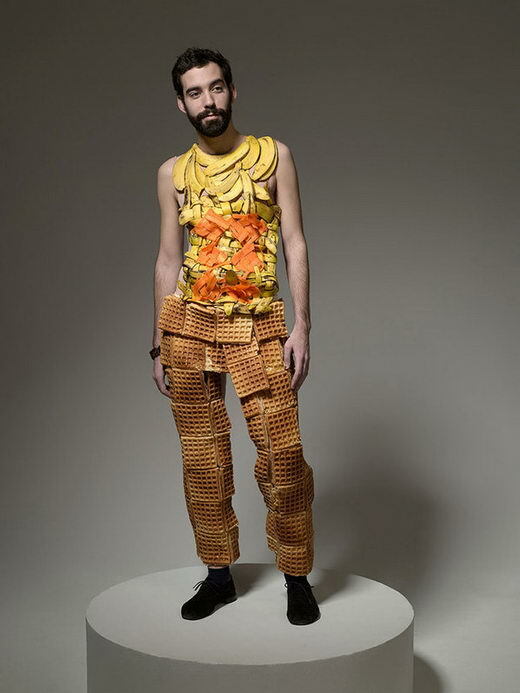 Titled “Hunger Pains“, each model’s clothing was made entirely of real food and represents a meal they are craving. 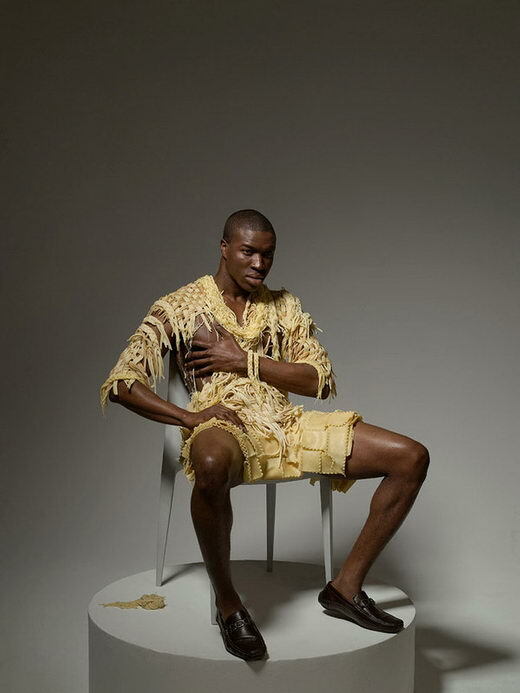 This is a project photographed by Ted Sabarese and created by a team of 15 designers led by Ami Goodheart. 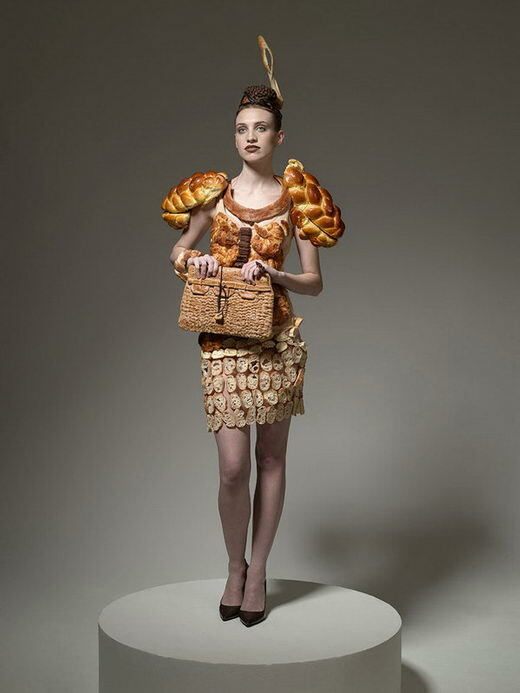 Each garment took hours to cook, create and assemble. 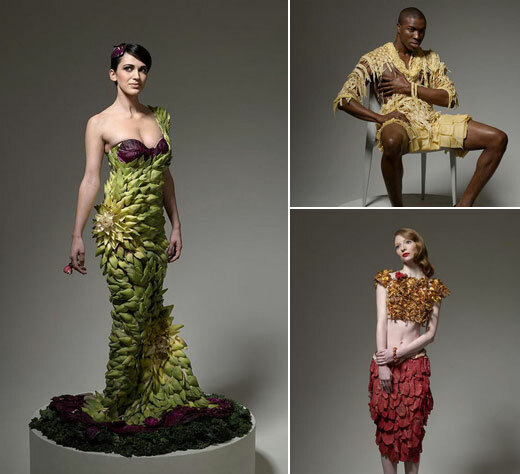 Even I am always against playing with food, I have to say those photos looks really gorgeous.